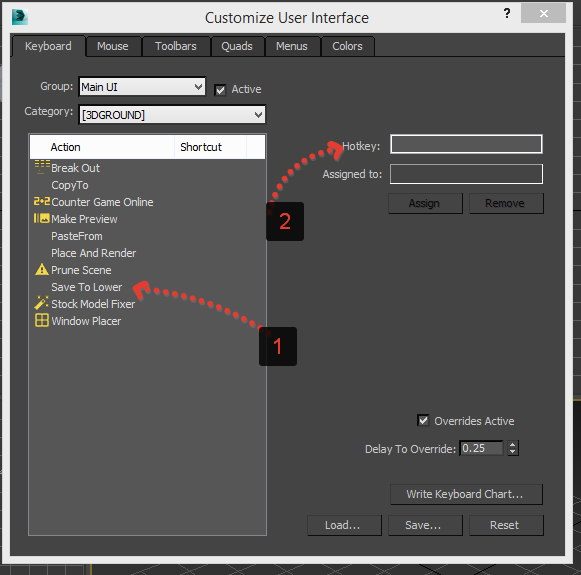 This script allows you to create a button in the interface or create a shortcut to automatically save the file to the lower version for 3ds Max. For example, if you have a 2014 version, the script will save in 2011. Works for 3Ds Max 2012 - 2020. It is installed as a regular script, just Drag&Drop script in to viewport. Then find it in Customize -> Customize User Interface, choose Category: [3DGROUND] and assign hotkeys for "Save To Lower". Best keys combination Ctrl+Shift+S ! This script works without license key. After purchase just download and use it.